2017 was quite a busy year for the team at Lenz! As such, we would like to take a moment and look back on all we accomplished for our clients. From creating integrated marketing campaigns, to rebranding medical practices, and expanding our media properties in Atlanta and beyond, Team Lenz has covered a lot of ground. See below for some of our highlights and achievements from last year! 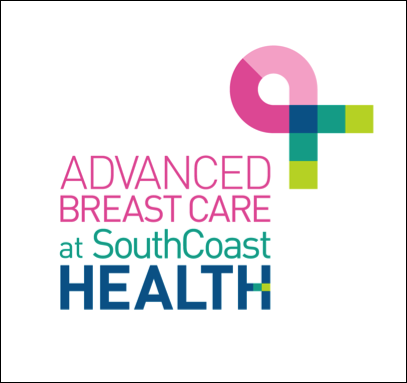 As SouthCoast Health’s key social media and digital content provider, the Lenz team developed custom branding, digital content, as well as social and public relations campaigns worthy of the innovative breast health services that SouthCoast Health offers. 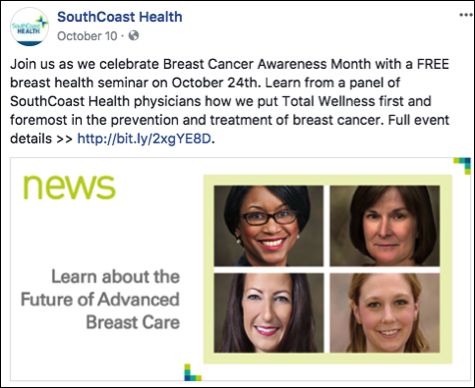 Check out some of the pieces Lenz created for this campaign, including branded logo and website graphics, blogs, news pieces, and informative graphics. 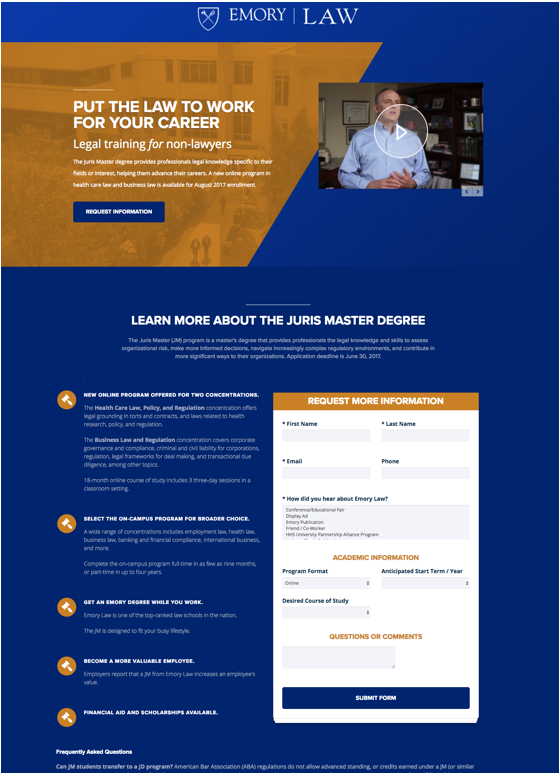 Lenz partnered with Mixed Bag Media to produce a series of videos promoting Emory University School of Law’s Juris Master program, designed for non-lawyers who want to advance in their career and gain an understanding of how the law relates to their field. For the project, we interviewed seven current and former students of the program and asked them about how the degree helped their careers in the fields of healthcare, human resources, and business. We also had the opportunity to interview Stephen Sencer, the Senior Vice President and General Counsel and Senior Advisor to the President of Emory University about the value of the degree to working professionals. As a part of a multifaceted video campaign, we worked with the Mixed Bag Media team to develop two versions of each interview (a 90-second and 30-second version), as well as a montage video featuring multiple students. The videos were used in a large-scale digital marketing campaign, which included social media, web, and YouTube pre-roll. 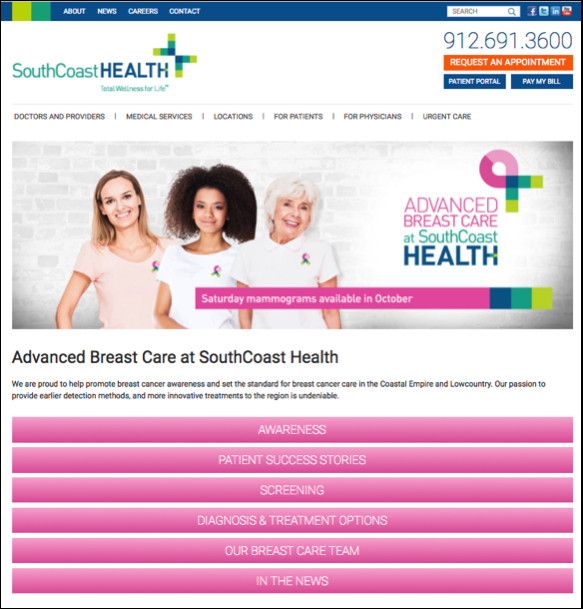 All ads clicked through to branded landing pages, which rounded out the cohesive look of the integrated campaign. The landing pages allowed us to track conversions from each individual referral source, helping us optimize and achieve the client’s goals. Check out our work below below! 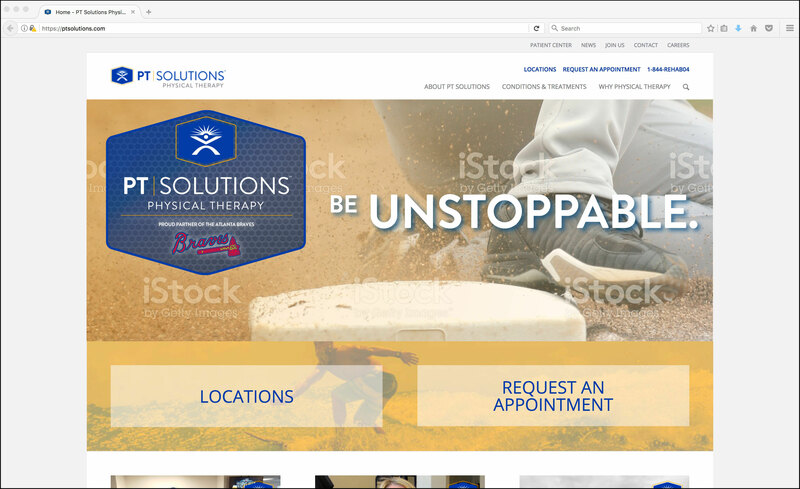 Lenz helped PT Solutions promote its partnership with the Atlanta Braves, by creating a sponsor shield, billboard campaign, and website features. See below for these design pieces! In addition to offering our healthcare and community clients integrated services, Lenz also owns several media properties, allowing us to deliver more value to our clients and help them reach their goals. 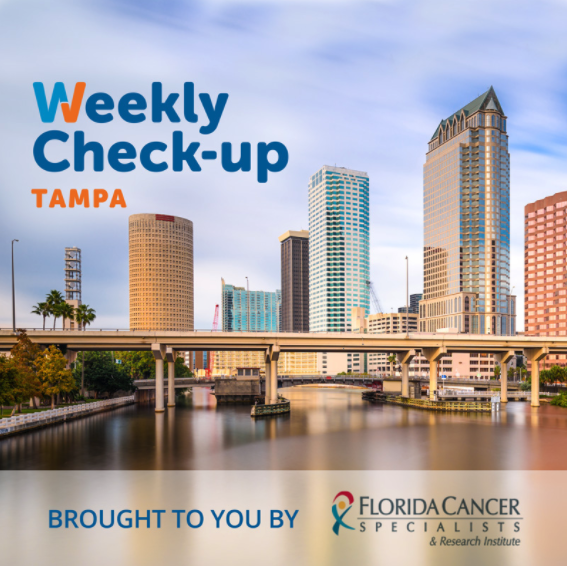 In 2017, Lenz was able to expand its “The Weekly Check-Up” show out of Atlanta (out of the state for that matter) into Tampa, Florida! 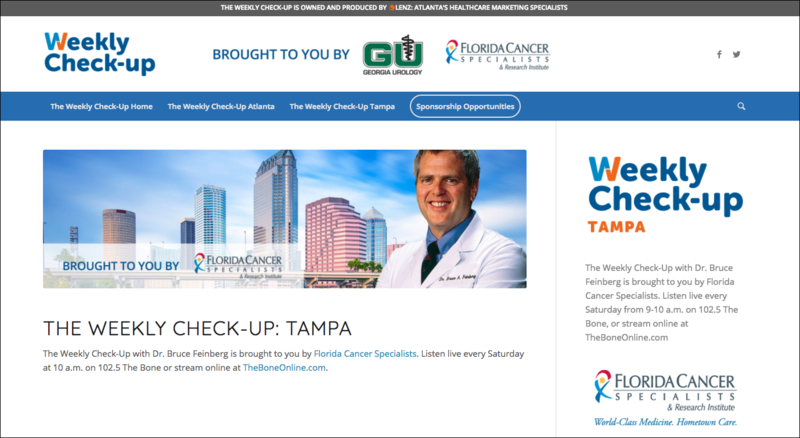 “The Weekly Check-Up” now airs on WHPT 102.5 FM. 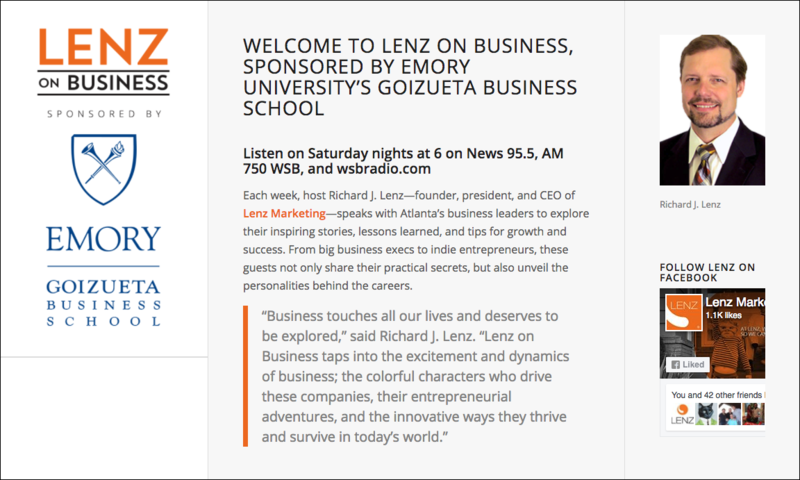 2017 also saw the debut of “Lenz on Business,” Atlanta’s preeminent business talk show that airs Saturdays at 6 p.m. on News/Talk 95.5 FM WSB. 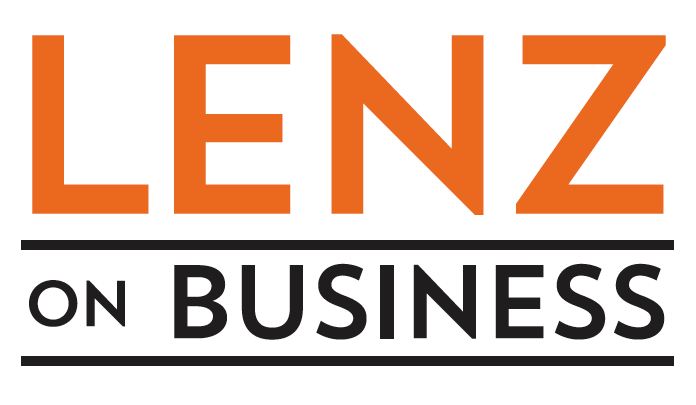 Each week, Lenz president and CEO, Richard Lenz, speaks with Atlanta’s business leaders to explore their inspiring stories, lessons learned, and tips for growth and success. 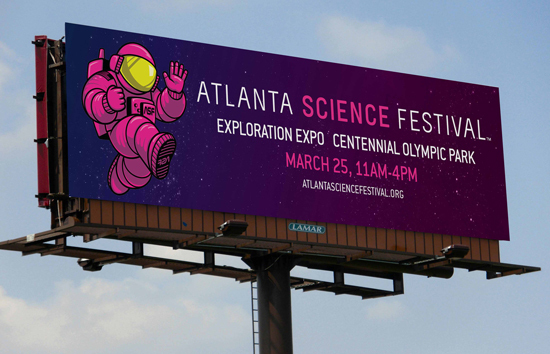 With its growing popularity, the Atlanta Science Festival needed a playful, memorable brand to help solidify its place among Atlanta’s busy calendar of events and reach even more curious people across the region. ASF came to Lenz for help with this task, and thus ALEX was born into the universe. 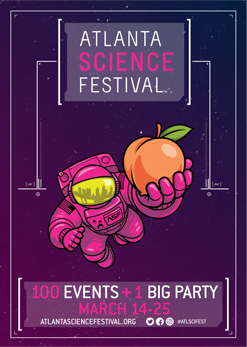 ALEX (Atlanta’s Lead EXplorer) is ASF’s mascot: a spunky astronaut sporting the branded ASF pink and ready to take ATLiens on a two-week science-filled adventure. 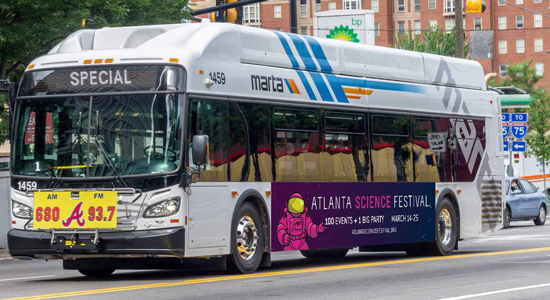 The goal with this mascot’s development was to instill a sense of exploration and wonder in the 2017 festival while also solidifying ASF’s brand within the Atlanta market. 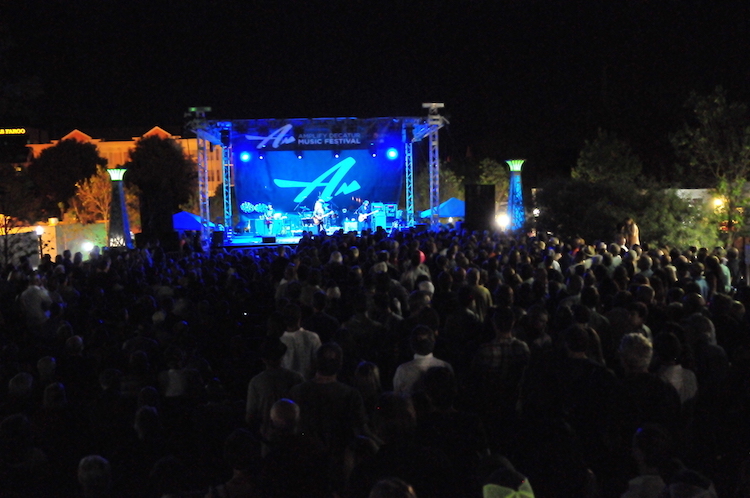 Knowing that consumers show affinity towards brands that extend their essence beyond a logo, and into a carefully crafted persona, ALEX became an integral part of the festival’s marketing initiatives. 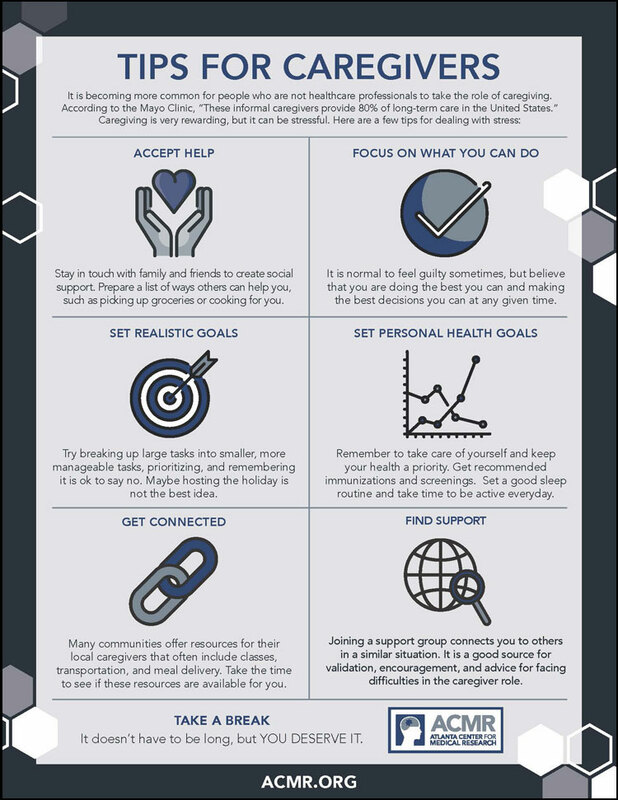 How do you take often uncomfortable topics and develop messages that connect with potential patients looking for first-rate care? What do patients really want from their healthcare experience? 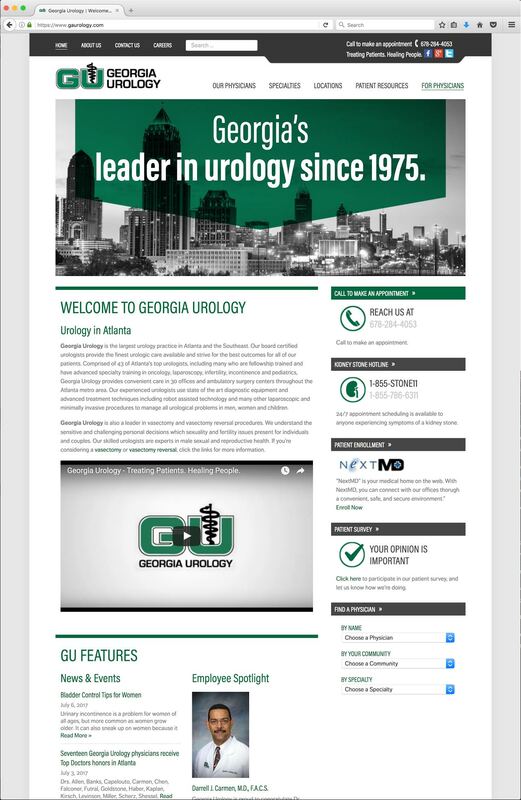 These are just a couple of the questions the Lenz team asked when developing Georgia Urology’s 2017 “Confidence” campaign. 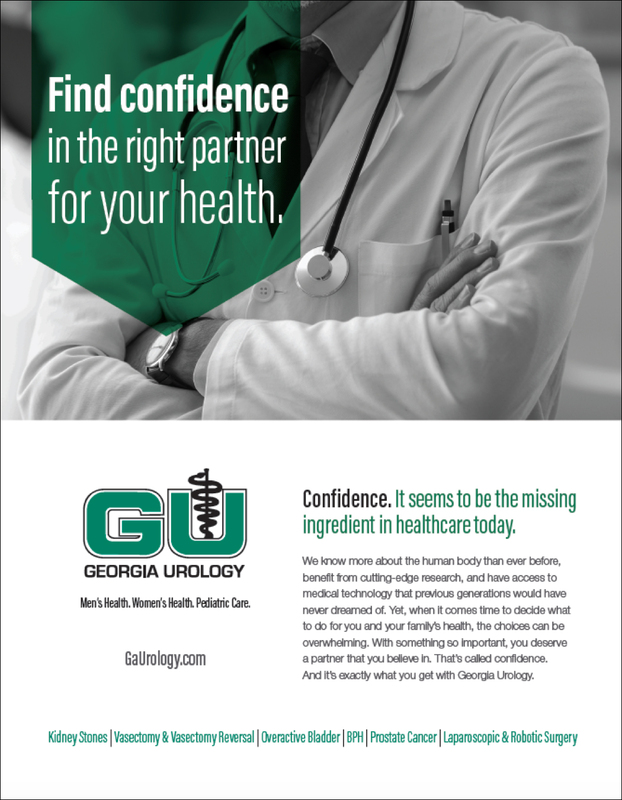 The “Confidence” campaign is designed to articulate the wide array of benefits that patients receive by partnering with Georgia Urology for their healthcare, and it recognizes that urology comes with particular sensitivities and considerations. Check out some of the pieces Lenz created for this campaign, including print ads, billboard ads, and an updated website. 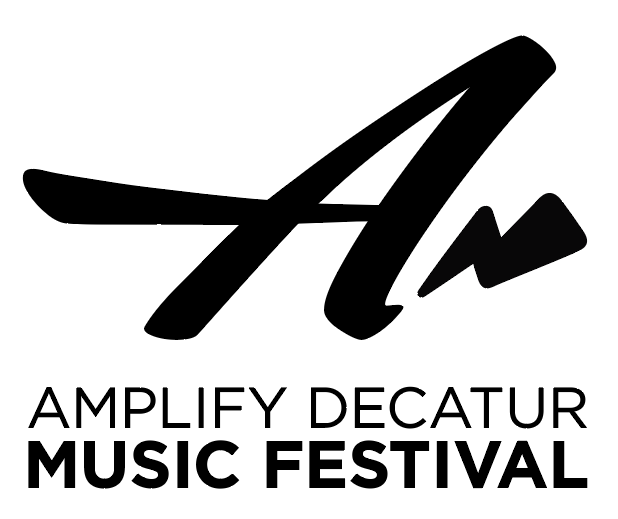 Lenz presented the 2017 Amplify Decatur Concert Series, helping raise $40,000 for its beneficiary Decatur Cooperative Ministry (DCM), a Decatur-based, nonprofit organization that works to prevent and alleviate poverty and homelessness in Decatur and DeKalb County. 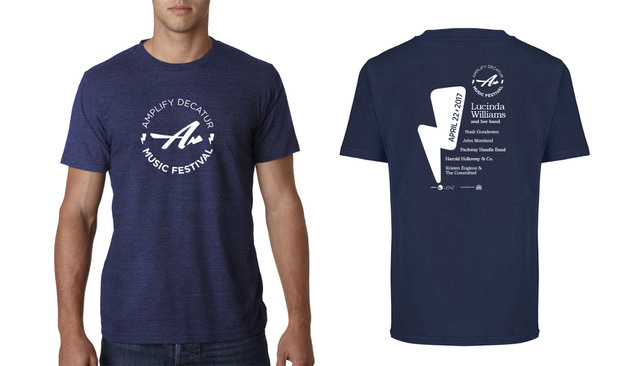 On April 22, thousands gathered on the Downtown Decatur Square for the Amplify Decatur Musical Festival, the centerpiece of the concert series. 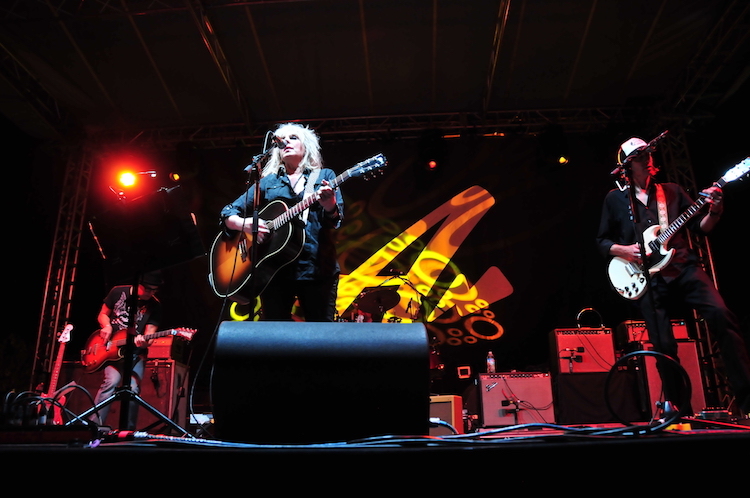 Americana legend and three-time Grammy winner Lucinda Williams headlined the outdoor festival, which drew more than 2,000 guests. Also performing were Noah Gundersen, John Moreland, Harold Holloway & Company, Packway Handle Band, and Kristen Englenz & The Committed. Lenz is extremely proud to have worked alongside the Amplify My Community team to make this event a reality. Scroll down to view some of the photos and branding from this amazing event! Avail Dermatology was formerly Newnan Dermatology, a respected provider of dermatological services since 1990. From creating the name to choosing the color scheme and design of the new logo, Lenz provided its services to ensure the practice’s rebranding captured its high quality and professional reputation. 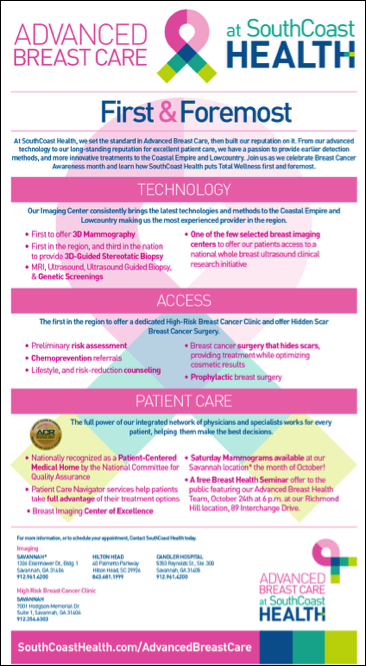 Check out the new website and collateral below! 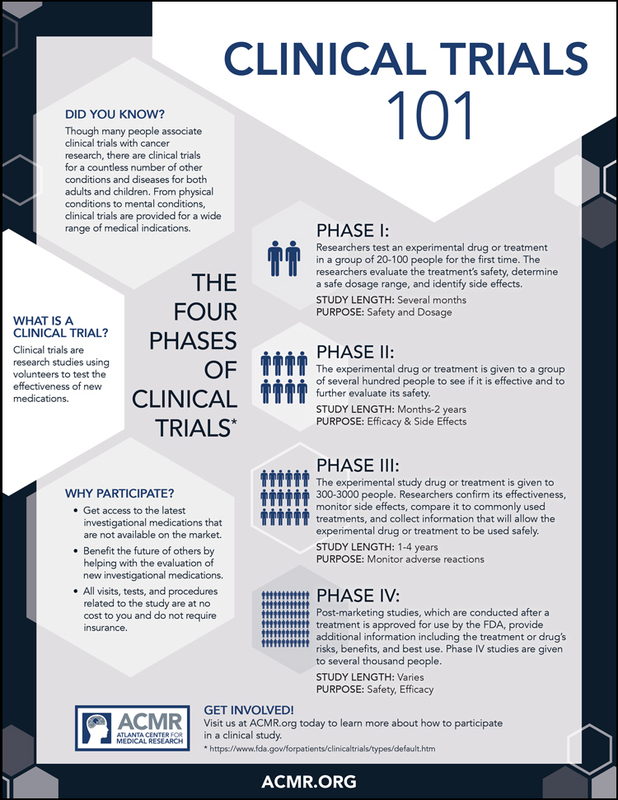 In an effort to raise awareness of the importance of medical research and related topics, such as vaccinations and the role caregivers play, Lenz has created several branded infographics for the Atlanta Center for Medical Research. 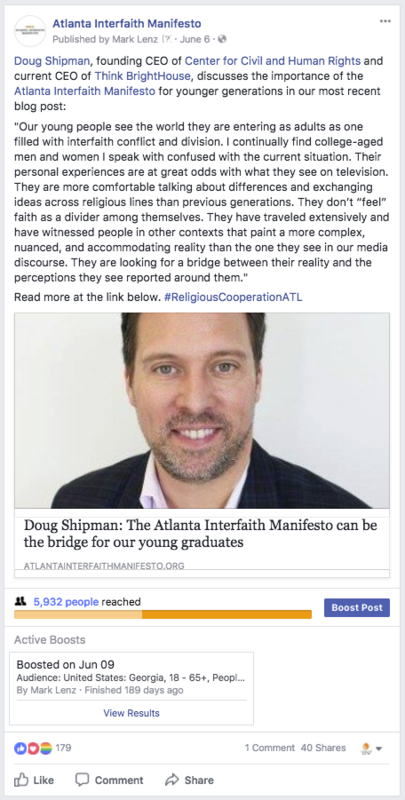 An especially unique project the Lenz team had the privilege to work on this year was promoting the Atlanta Interfaith Manifesto – a statement and digital movement working to promote interfaith cooperation in the Atlanta community. The Lenz creative, interactive, and media departments all pulled together to shape the marketing around The Manifesto and help make its auspicious goal a reality. Starting off with just 15 “endorsers” and the development of two full page ads, the initiative soon took root and bloomed into a fully integrated digital movement (website, Facebook, Twitter, and e-newsletter), media coverage on WSB-TV and The Atlanta Business Chronicle, a full-house event at The Center for Civil and Human Rights, a custom blog series, and (to-date) over 800 endorsers of The Atlanta Interfaith Manifesto. The custom blog series is a point of particular pride among the many exciting efforts developed for this client. 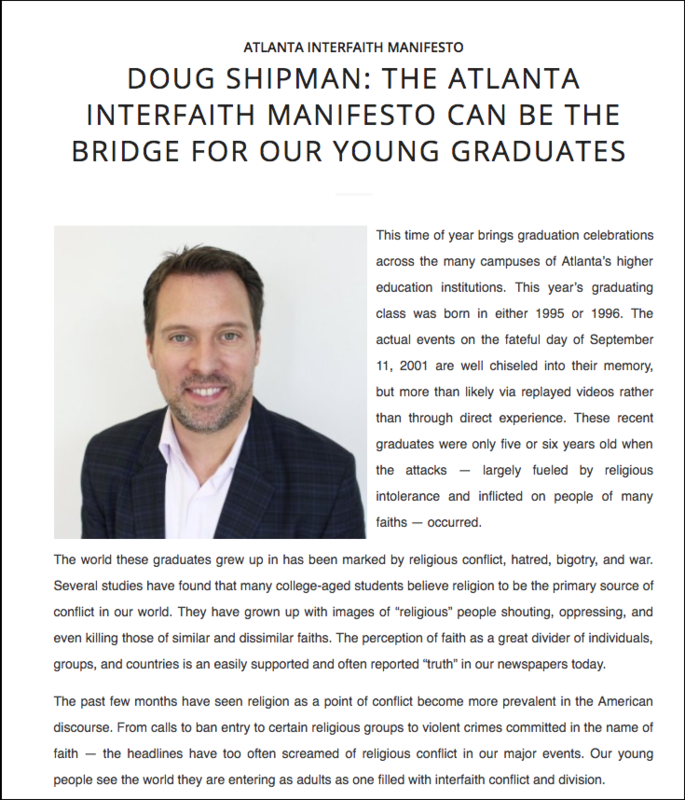 Think-pieces from Atlanta leaders like Doug Shipman (CEO of The Woodruff Arts Center), Rev. 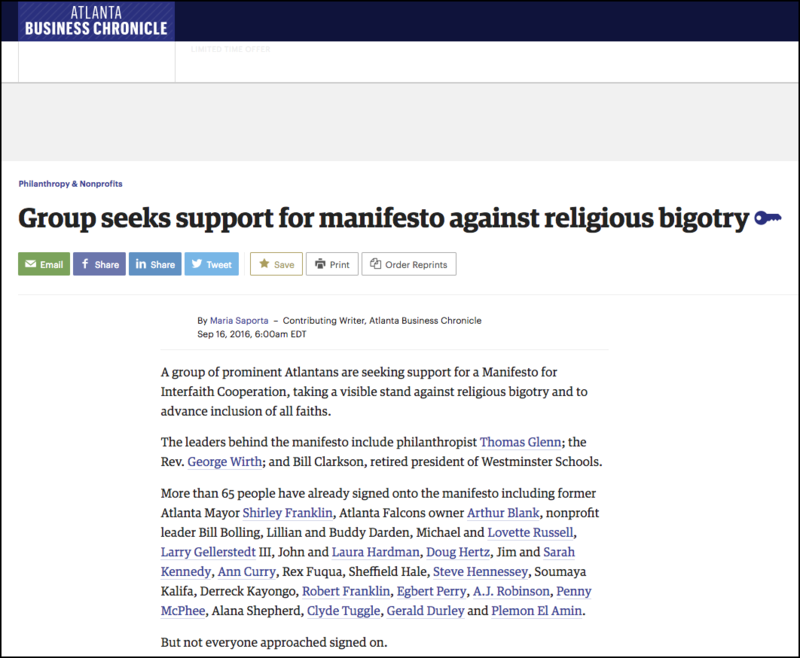 Dr. Gerald Durley (veteran of the Civil Rights Movement), Dr. Derreck Kayongo (CEO of The National Center for Civil and Human Rights), and Jan Love (Dean of Candler School of Theology at Emory University) were collected and featuring on the Manifesto website and social media properties. 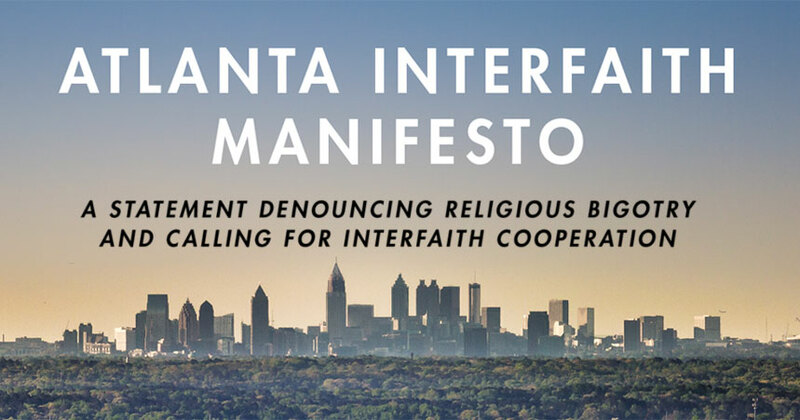 Lenz will continue to manage the digital marketing for the Atlanta Interfaith Manifesto in 2018. Thank you for reading! Believe it or not, these projects are just a small sampling of our work from 2017. Thank you to our clients who trust us with their business every year. We’re excited to do even more in 2018! Eric Riesenberg, the director of business operations for ACMR, a Lenz client, was featured in an Executive Profile of the Atlanta Business Chronicle in its Jan. 8-14 edition. In addition, David Hartnett, senior vice president of economic development for the Metro Atlanta Chamber of Commerce, lauded Riesenberg’s decision to locate ACMR’s new facility in the former Southwest Atlanta Hospital. The cause of the homeless is near and dear to the heart of Resurgens Orthopaedics’ Dr. Gary Stewart. This marks the seventh year that Dr. Stewart has organized a coat and blanket drive, with Haven House of Henry County, a shelter for abused women and their children, being the beneficiary. The Atlanta Journal-Constitution gave Dr. Stewart a major boost by shining a positive light on his good works and his cause on Nov. 29 in its “Sunday Conversation” feature in the Metro Section. 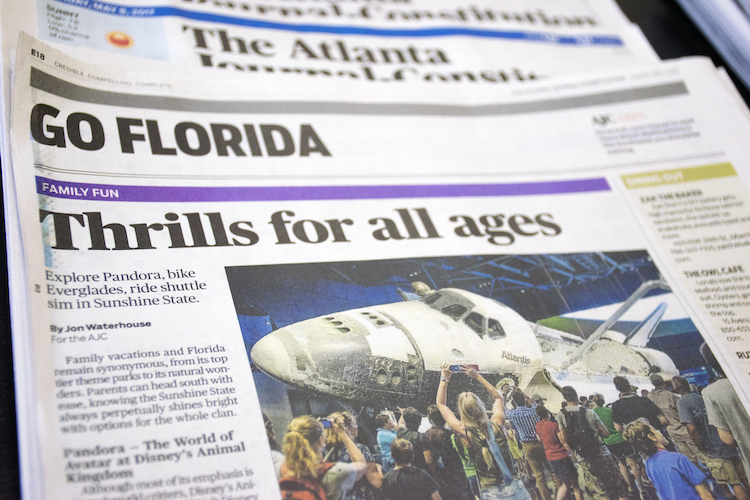 Lenz successfully pitched the idea to Ann Hardie, who handles the feature for the AJC that often has a non-profit or charitable theme to it. It was an incredibly busy pollen season for Atlanta Allergy & Asthma – both in terms of serving patients but also in terms of the practice’s presence in the media, highlighting its expertise as a leader in its space. Perhaps no day demonstrated that better than April 9, when the pollen count hit 6,152 – the fifth-highest count on record since Atlanta Allergy began compiling them in 1991. Fortuitously, WSB-TV meteorologist Katie Walls had reached out to Lenz nine days in advance of April 9 for an occasional science segment that she reports. She had expressed initial interest in doing such a segment at a previous visit to Atlanta Allergy’s East Cobb office in March for a story on the start of pollen season. Walls and her cameraman met us at Atlanta Allergy’s Kennestone office at 5:10 a.m. The Atlanta Allergy pollen collectors showed how they perform the count and gave WSB great visual images of the pollen spores under the microscope, which the Atlanta Allergy team projected on a computer screen. After several hours of reporting – and waiting for the count to be finalized while imbibing copious amounts of coffee – the team moved to Atlanta Allergy’s Northlake location to interview Dr. Lily Hwang. In setting up the piece, Walls had expressed her strong desire to speak to an allergy sufferer. Lenz set her up with one of Hwang’s patients, 10-year-old Samantha Manasso, who also happens to be the daughter of Lenz media relations manager John Manasso. The piece aired in the 5 p.m. hour that day. Atlanta Allergy ended up getting three separate media hits from it, as it also aired during the 11 p.m. hour and again early the following morning. Previously, in March, the pollen count also kept Lenz and Atlanta Allergy on their collective toes. After several weeks of closely monitoring the pollen counts through the late winter months, the public relations staff arrived early on Monday, March 16, expecting to send our first alert of the spring to local media. The pollen count reached 188 that morning – in the “high” range, as deemed by the National Allergy Bureau (NAB). It marked the seventh day of the month that the count was in the high range. The Lenz team put previous weeks of planning – updated media lists and sample language for a media alert – to work and quickly sent out our email to the media. We received our first nibble that day, as WSB Radio’s Sabrina Gibbons requested an interview with AA&A’s Dr. Stanley Fineman, a past president of the prestigious American College of Allergy, Asthma & Immunology. The next day, we entered the office to see in our inbox that pollen count had essentially maintained itself at 187 and that the website of local television station CBS46 had requested permission to embed the AA&A website into its own for purposes of showing the pollen count. It’s important to note that AA&A is the only local provider of the pollen count as certified by the NAB. Granting permission expanded Atlanta Allergy’s reach to more prospective patients. Web users can simply click on the link to make appointments directly with AA&A. On Wednesday, the pollen count exploded. It soared to 1,793 into NAB’s “extreme” range, prompting Rachel Cushing wisely to decide we should send out another media alert. Using the language from Lenz’s email alert, AJC.com quoted John Manasso in Mike Morris’ 197-word story. A shorter version appeared in print. 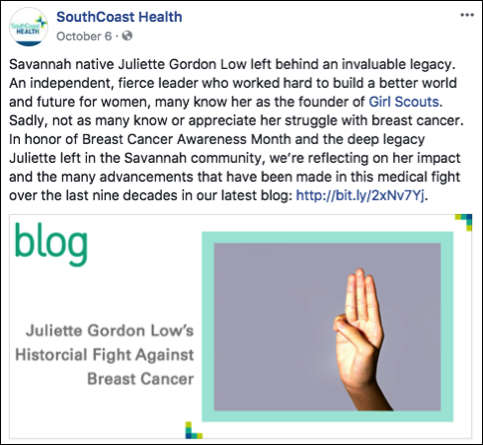 The Gwinnett Daily Post called and we set them up with Dr. Judy Nam, who practices out of the county’s Hamilton Mill and Snellville’s offices. The biggest news of the day came at 1:29 p.m. when we received an email from Carol Sbarge at WSB TV. She was hoping to set up an interview at one of Atlanta Allergy’s offices the next day for another reporter. After sorting out some schedules, we alighted upon a 10:30 a.m. interview at Dr. Fineman’s East Cobb office. Before the day had ended, we received a call from Atlanta Allergy, informing us that 11Alive’s Keith Whitney had called one of the practice’s offices directly, based on a previous story he had done with one of the doctors there. He stopped by the Sandy Springs office and interviewed Dr. Kevin Schaffer. On a rainy Thursday morning, we met WSB meteorologist Katie Walls at Dr. Fineman’s office on Johnson Ferry Road. She is an allergy sufferer herself and had a great deal of personal interest in the subject. She interviewed Dr. Fineman for what ended up being two stories, one that aired in the 4 p.m. hour and another in the 6 p.m. hour. She got a kick out at some plush toys hanging around the office that were in the form of dust mites. Her cameraman shot footage of a sign in the office that indicated the extreme pollen count one day earlier and of a nurse preparing an injection for allergy therapy. He also shot footage of the numerous patients in the waiting room (taking care not to shoot anyone’s face without their permission; later, he asked for and received permission to shoot footage of a patient consulting with Dr. Fineman in his office). Later, we supplied Katie with some historical pollen counts to provide her story with some context. This was the final product. The week would not have been complete without one more hit. 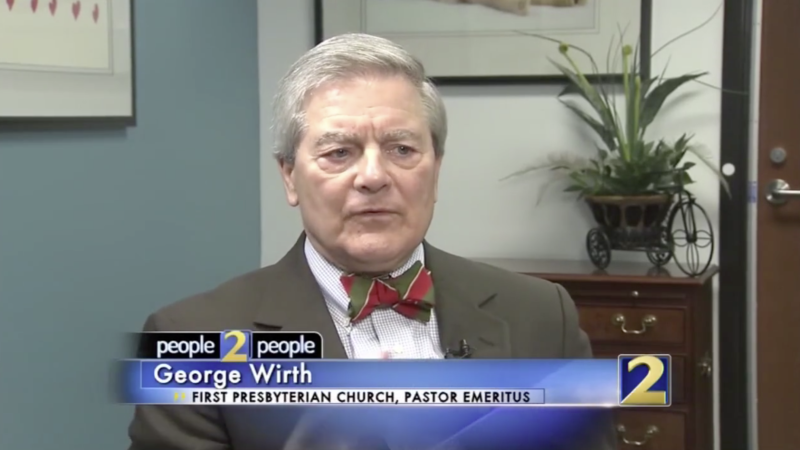 On Thursday afternoon, Mark Woolsey of the Georgia News Network (radio) called. He interviewed Dr. Fineman late on Thursdayfor a segment that aired on Friday. By Thursday, the weather turned cool and rainy, dampening the pollen counts. But now allergy sufferers are now “primed” for April, when the pollen could hit its full bloom. When it does, the media will know were to find Atlanta Allergy and Lenz. “The Decision”: Four Years Later, Life Still Runs On Emotion! Four years ago today, a professional athlete did what we want all professional athletes to do. He decided that money wasn’t the most important thing—winning championships, having great teammates, and helping his community were. And the public was outraged. https://www.lenzmarketing.com/wp-content/uploads/2017/05/logo-1.png 0 0 Lenz https://www.lenzmarketing.com/wp-content/uploads/2017/05/logo-1.png Lenz2014-07-07 17:56:162014-07-07 17:56:16"The Decision": Four Years Later, Life Still Runs On Emotion!